The Artique Resort Surfers Paradise offers its visitors a wide range of luxurious apartments, all featuring en-suite bathrooms and fully equipped kitchens. 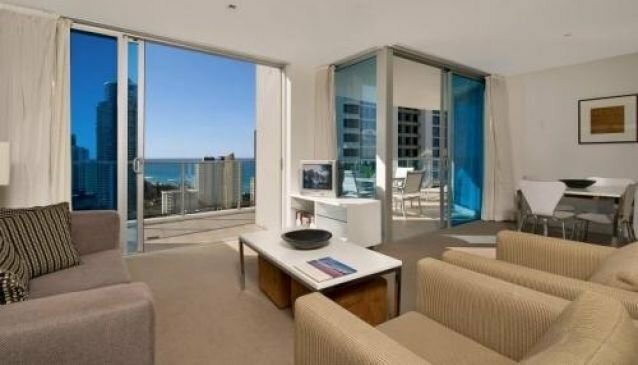 Guests can enjoy and rest with the beautiful view of the ocean just in front of them, or alternatively views of the River of Surfers Paradise or the breathtaking view of hinterland. Whenever they want to relax, the guests can enjoy in the outdoor swimming pool and sun deck, relax in the steam room and the sauna or visit the fitness centre with a fully equipped gym. Located only a few minutes from the centre of Surfers Paradise and the well-known Gold Coast Beach, the Artique Resort Surfers Paradise can provide full enjoyment and relaxation during your vacation. The professional staff will make you feel welcomed with their politeness and helpfulness. With these amenities, this resort is a true paradise for a vacation.